F.A.S.T. 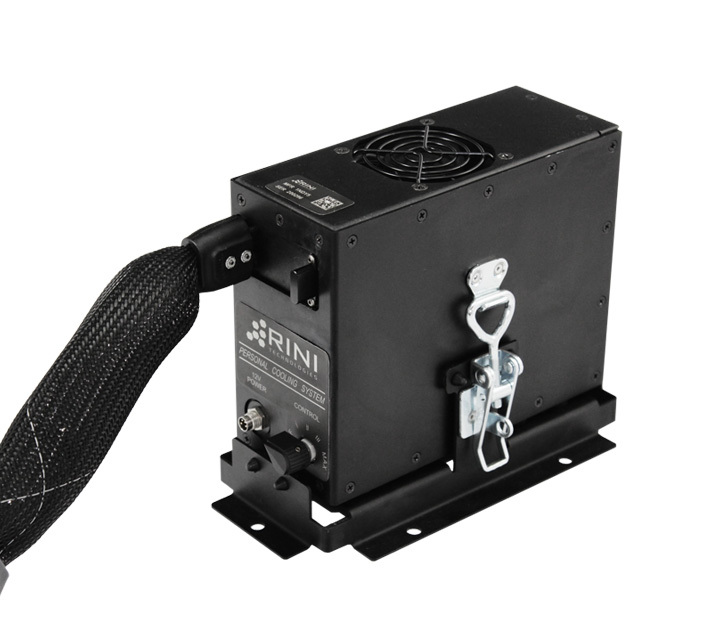 has been providing driver cooling solutions since 1992, and we're pleased to announce a new breakthrough offering after teaming up with RINI Technologies to market the PCS-Auto Personal Cooling Solution. From its diminutive size and light weight to its high level of effectiveness, RINI Technologies’ new PCS-Auto technology provides a range of compelling advantages over traditional cooling systems for use in motorsports. 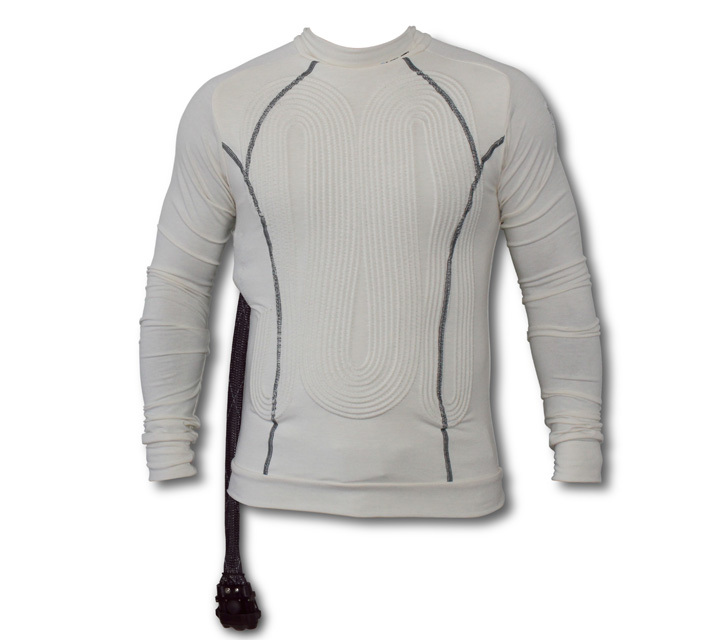 Powered via 12V, PCS-Auto utilizes patented miniature refrigeration technology to continuously chill a flow of water to the Cooling Shirt. Developed using the same RINI Technology that is utilized to provide cooling solutions for electronics, lasers, and personal cooling solutions including body armor, explosive ordinance suits, and chem-bio suits, the PCS-Auto miniature cooling technology provides more heat transfer and is more efficient than air cooling or thermoelectric systems. F.A.S.T. also has over 30 years experience of providing cooling solutions for participants out of the cockpit, and the PCS-Auto system can also be configured in a battery powered, backpack format, to cool a team’s individual crew members. This is the system that every drag racer using alternative fuel needs in their car! This will bring you clean breathing air, straight to your helmet in case of a fire. Save your face, save your lungs, save your life! 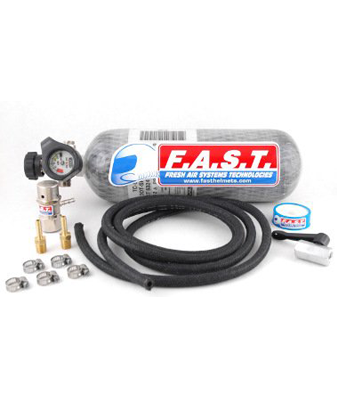 FAST has the lightest, most effective supplied air system available. 3000 PSI, 120 Cubic Inches Meets all D.O.T. regulations for compressed air cylinders. Carbon-Wrapped Cylinders are made with a seamless aluminum liner that is precision-formed by a six-step process with quality control inspections all along the way. After forming the neck of the liner by a computer-controlled spinning process, the cylinder is wound thousands of times with high-strength carbon fibers impregnated with epoxy resin. The process is then completed with a final over wrap of fiberglass fibers for enhanced abrasion resistance. (1) Carbon Fiber Fire rated bottle with valve assembly. (1) Regulator Factory set at 25 PSI - gives 10-14 minutes of air. Harris Race Radios has a selection of NACA ducts, hoses, Air pumps and associated fittings. F.A.S.T uses only the highest-grade components in our coolers. We use a Marine grade pump, and medical grade fittings to ensure longevity and performance.